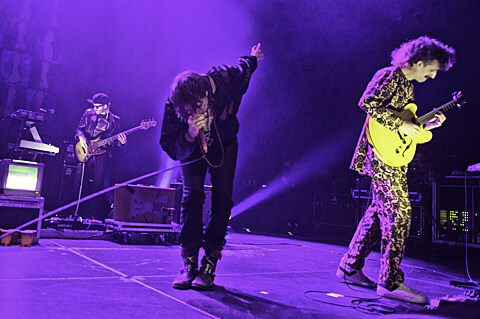 Julian Casablancas+The Voidz are currently on the European leg of their current tour which wraps up in Istanbul next week (6/14), and have just announced a North American dates with openers Craft Spells for the fall. 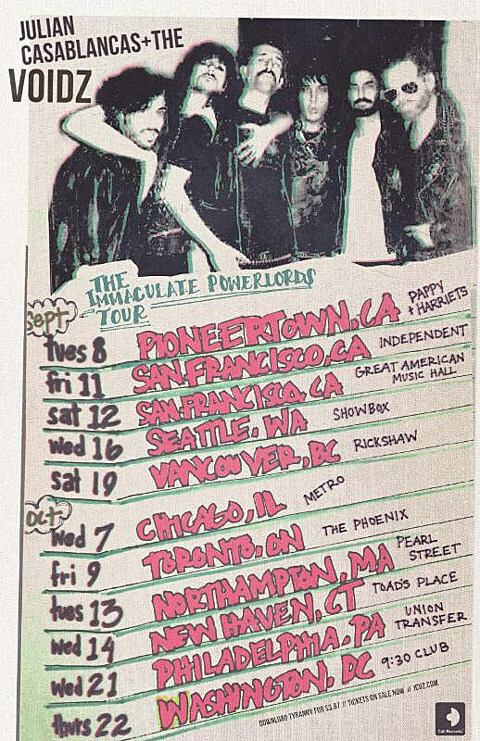 Dubbed “The Immaculate Powerlords Tour,” it kicks off in the Mojave Desert in September (9/8). No NYC dates have been announced (they played here last November) but they’ll be close by, right around CMJ time in October. Tickets for the North American shows go on sale Friday (6/5). All dates are listed below. This announcement quickly follows last week’s unveiling of the short film “Human Sadness,” a collaboration between Julian and directors Nicholaus Goossen and Warren Fu. The film sets the titular song to a wistful montage of pretty girls, historic violence and late-century urban angst. It runs 13-odd minutes (that’s two minutes longer than the LP version of the song) and is quite the adventure. Meanwhile, directors Fu and Goossen are set to appear on Revolt TV tonight (6/4), in a Revolt Live segment introducing the “Human Sadness” world broadcast premiere. If you fail to catch it then, don’t fret — the video will run on the network every night, at midnight, for the next week. You can also just watch it below.